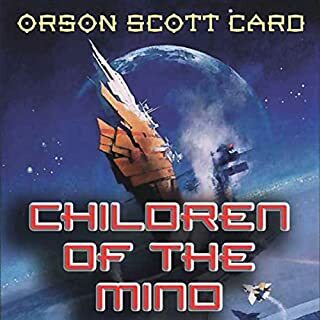 Bean, once the smallest student at the Battle School, and Ender Wiggin's right hand, has grown to be a power on Earth. 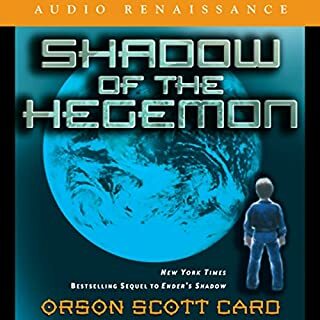 He served the Hegemon as strategist and general in the terrible wars that followed Ender's defeat of the alien empire attacking Earth. 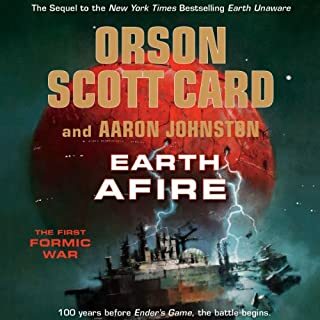 Now he wishes for a safe place to build a family, something he has never known, but there is nowhere on Earth that does not harbor his enemies; old enemies from the days in Ender's Jeesh, new enemies from the wars on Earth. 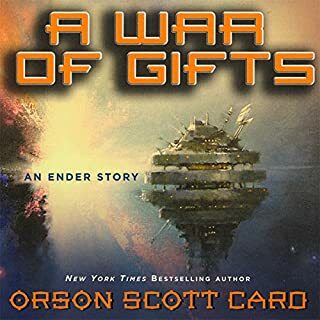 To find security, Bean and Petra must once again follow in Ender's footsteps. They must leave Earth behind, in the control of the Hegemon, and look to the stars. This is my favorite science fiction series. The characters are easy to identify with, and you will find yourself sucked into this imaginary universe, nick named the Enderverse by fans. Continues the adventures of Petra and Bean along with closure to the Hegemon story. Excellent performance by all the voices. Leaves the door open to more stories. Kept me glued to it the whole way through. Very good. 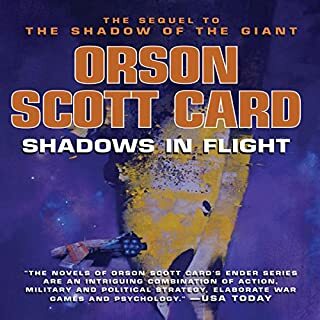 Having read Ender's Game, Enders Shadow, Shadow of the Hegman, Shadow of the Puppets (not great)and now Shadow of the Giant in that order, I recomend this as an important and touching part of the series. There are some relegious parts that might not appeal to some;however, this should be read. You will not be disapointed.Am now off to Speaker for the Dead,Zenocide and finaly Children of the Mind. Will miss some of our friends however. What can I say that hasn't been said about Uncle Orson's ability to capture the soul of his characters? In my opinion, that is the best thing about his work. They are so human and real and often tragic. It is apparent that Card really cares about these characters and lives in their world with them. He deftly brings the reader along for the ride. This is a grand and beautiful story that stands on it's own even though it is a sequel. The plot is excellent. It is intricate, exciting and very well paced. For fans of the series, this will justify their devotion. But, this volume can be enjoyed by everyone for it's own sake. I couldn't put it down. The narration is excellent too. It adds immensely to the feeling of the story. 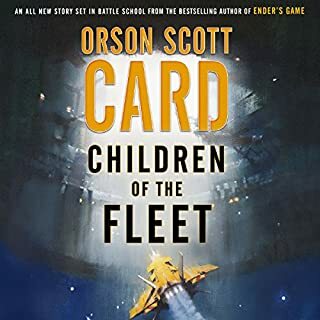 I came back to this series after a four-year break, and I'm glad I did. 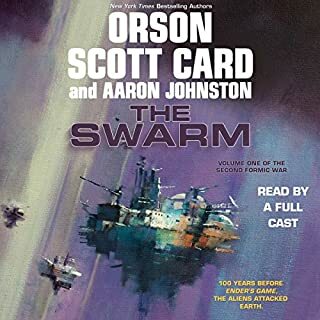 Not overwhelmingly brilliant like a couple of the books have been, but it was solid -- and left more to tell. 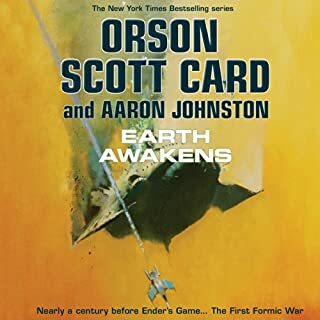 I usually hate "Companion Series" books, they usually seem to decline in entertainment value after the original book (Enders Game, in this case), especially when the original book seems to neatly end with no loose ends to warrant another book. 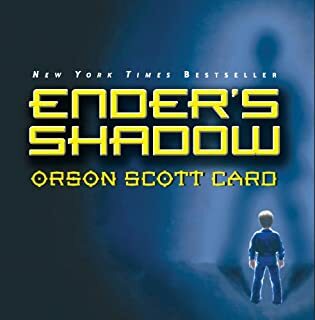 The Ender series is MUCH different, the "follow-up" books just keep getting better... 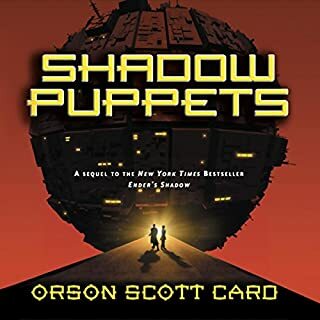 The characters are well fleshed out (sometimes it seems a little too much time is wasted fleshing out a character, but it ends up being just the right amount of information you needed to know to keep up with the character's motivations further along in the book, or series). 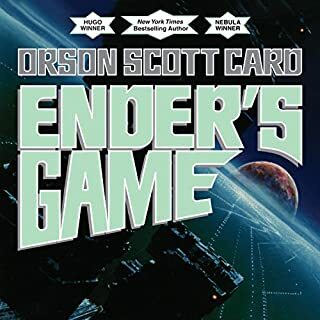 If you liked Ender's Game, then the follow-up books are a "Must have", even if you think "How could they be better than the original"? 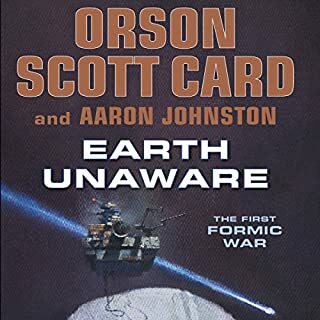 The unabridged versions are a bit long winded at times, but you get details that you NEED to have to keep up with the complex stories being woven. 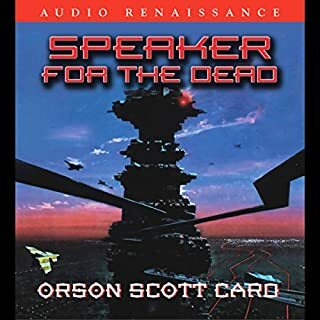 Card says, "hearing" the books are the way he wanted them presented, and having several narrators in each book makes the audio books MUCH better. I just finished listening and had to voice my opinion. 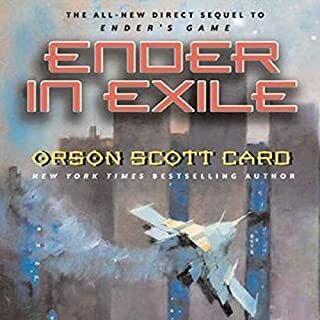 Orson Scott Card has another winner in the Ender series. 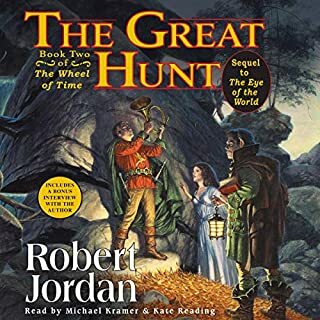 Giant continues with the characters that we have grown to know and love from the previous books and continues to build possibilities for future novels. 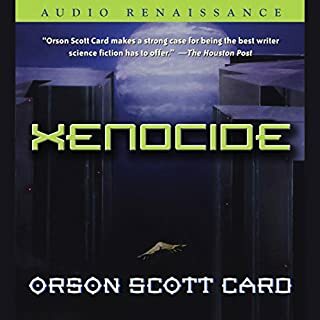 The narration is fantastic and keeps you in the story from beginning to end. Worthwhile reading! 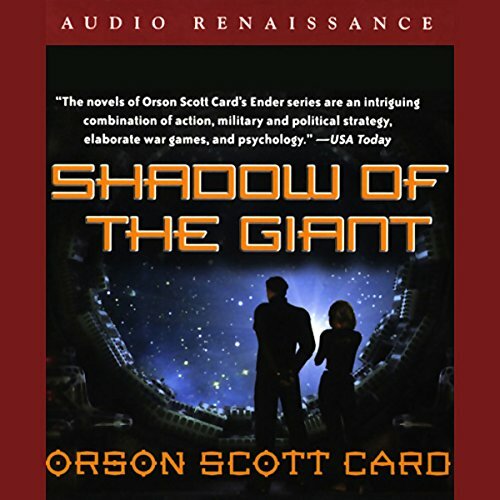 SHADOW OF THE GIANT is the incredible finale of the Shadow Quartet (ENDER'S SHADOW, SHADOW OF THE HEGEMON, AND SHADOW PUPPETS). 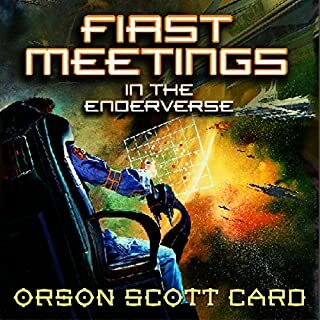 Any fan of science- fiction will love the whole Ender series including this newest addition. Card follows Bean, Petra, and Peter Wiggin as they all try to complete their final goals. Peter attempts to unite the world in peace. Bean and Petra try to find all of their lost children. What a fantastic book. Almost my favorite of the Shadow series. I hope it is not the last. You have to listen to the previous books to understand what?s going on.